Nominated for the first time in 2018, Hollis Haff finds his way into the Redmen Athletic Hall of Fame after earning six varsity letters before graduating in 1967. 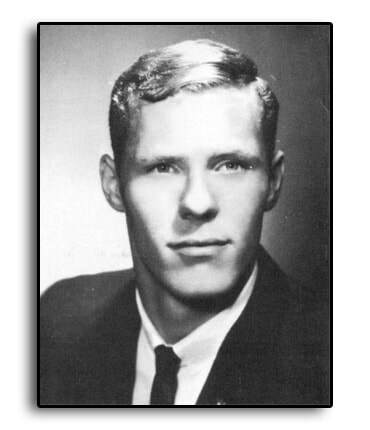 Hollis earned three letters in football and was honorable mention All-Northern Ohio League as a tight end in 1966 and was a member of the 9-0 undefeated Redmen that same season. In basketball, Hollis earned two letters and was first team All-NOL as a junior despite the fact that the Redmen finished just 3-11 that season. He was named a tri-captain as a senior and was again first team All-NOL and second team All-District. He helped the team to a 12-2 overall mark which was good enough for second in the NOL. The Redmen won three tournament games over Perkins, Norwalk and Huron before losing to Eastwood in the District Tournament. At the time of graduation, Hollis was fifth on the all-time scoring list with 687 points and still ranks 22nd on the all-time list. As a senior, he scored 17.8 points per game, which is still 12th on the all-time list. His top mark in one game was 33 points and he also grabbed 261 rebounds as a senior which is third all-time for one season. Hollis completed his athletic career at Bellevue High School with one letter in track & field and was on the 880-yard relay team that broke the school record. After high school, Hollis continued his academic and athletic careers at Otterbein College where he played in and started every football game as a freshman tight end. He caught 30 passes that season, breaking the Otterbein single-season school record. He was also a starting forward on the freshmen basketball team. He then transferred to West Virginia University and was awarded a full football scholarship as a walk-on. He was the back-up tight end on West Virginia’s 15th ranked Peach Bowl championship team. After college, Hollis pioneered the Pro Sports Ministry of Athletes in Action and served as chaplain to the Pittsburgh Pirates and Pittsburgh Steelers from 1974-1989. Dennis Sabo introduces 1967 graduate Hollis Haff.